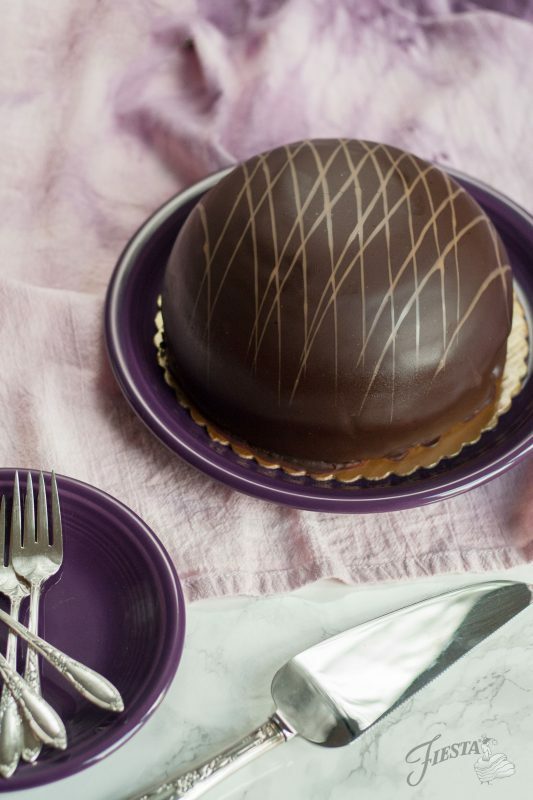 Our newest dinnerware color, Mulberry, is a sophisticated purple that can go from a cheerful day setting to an elegant night with the grace that you would expect from the color of royalty. To begin our meal with Mulberry we will first layout an elegant dinner. 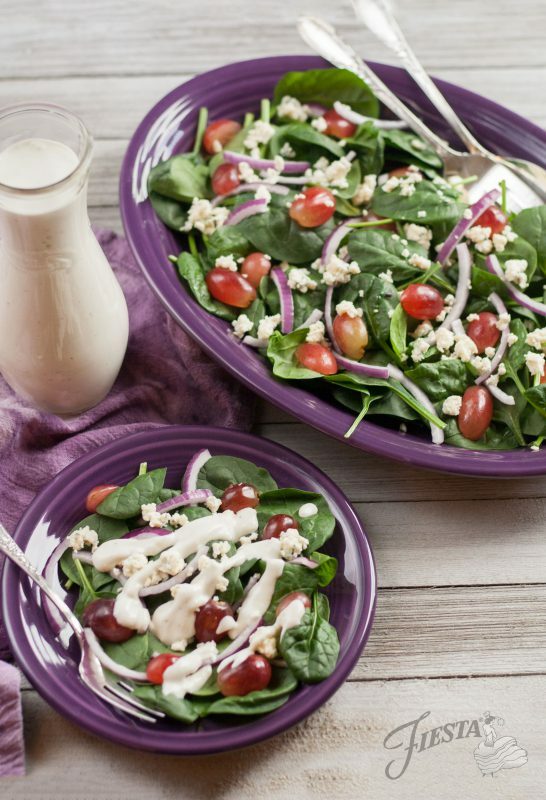 Spinach Salad with red grapes and purple onions is a stunning complement to Mulberry. 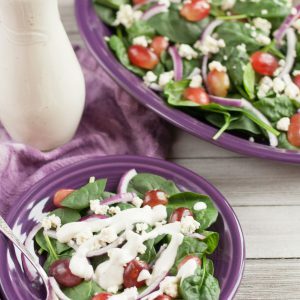 Serve with crumbled gorgonzola cheese and freshly made gorgonzola dressing on a Large Oval Platter accompanied by Salad Plates for a stunning presentation. 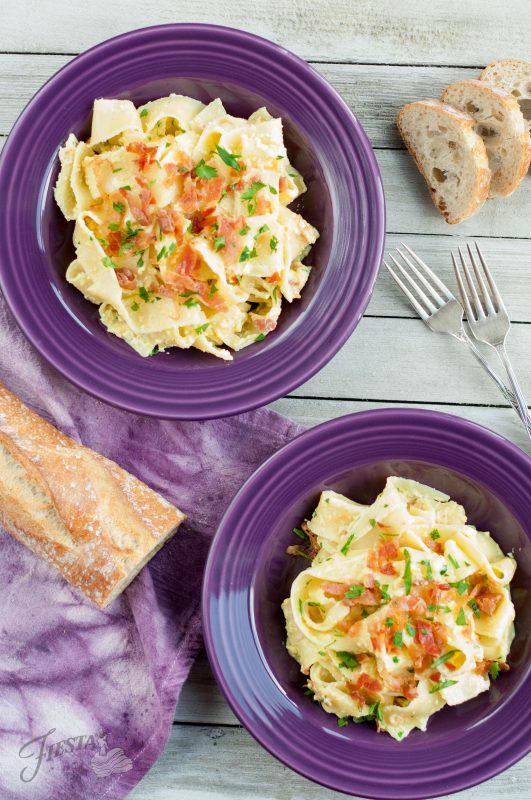 Next up is a simple Pappardelle Carbonara served with a loaf of crust bread. The Fiesta® Rim Soup Bowl is the perfect size for individual portions without being over-served. Top off the night with a gorgeous Dark Chocolate Bomb Cake. 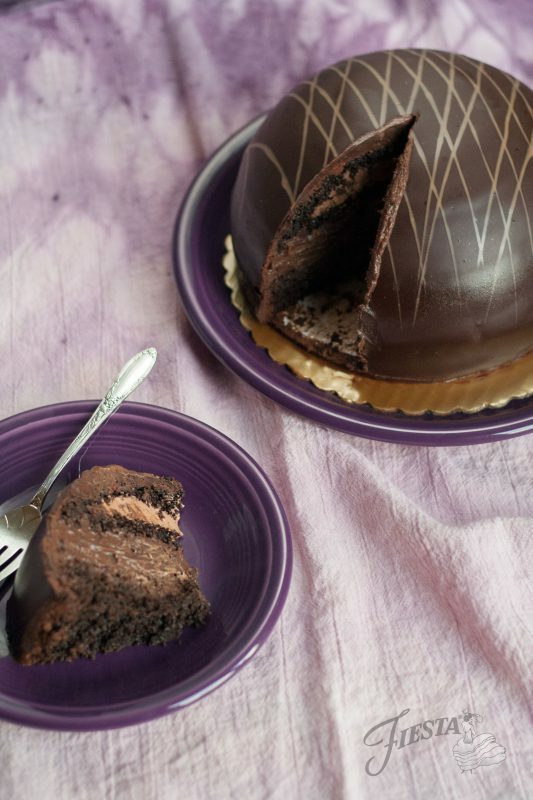 Its elegant, truffle-like shape looks perfectly at home perched atop a Mulberry Dinner Plate. Bake your own, or leave it to your favorite bakery to make as we did. 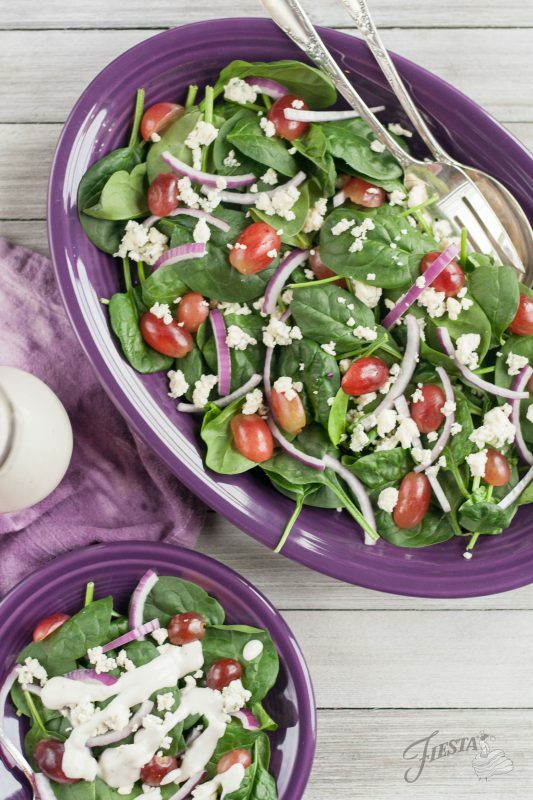 For more Mulberry, make sure to look out for the follow up post to this Meal with Mulberry for a more light-hearted and fun spin on our lovely purple hue. In a large bowl, whisk together the oil, yogurt, Worcestershire, garlic, salt and pepper. Fold in the gorgonzola cheese and chives. Add in the buttermilk or milk until your desired consistency. Alternatively, you can add the oil, yogurt, Worcestershire, garlic, salt, pepper, and gorgonzola to a blender or food processor and process until smooth. Then, add in the chives and thin out to desired consistency with buttermilk or milk. Bring a large saucepan of water to a boil. Add in pasta and cook until tender. Drain, reserving 1/2 cup cooking liquid. Return pasta to pan over very low heat. Meanwhile, heat a splash of oil up in a large skillet over medium heat and add prosciutto, cooking until crisp. Remove from pan. In a medium bowl, beat together eggs, cream, parmesan cheese, reserved cooking liquid, and half of the parsley. 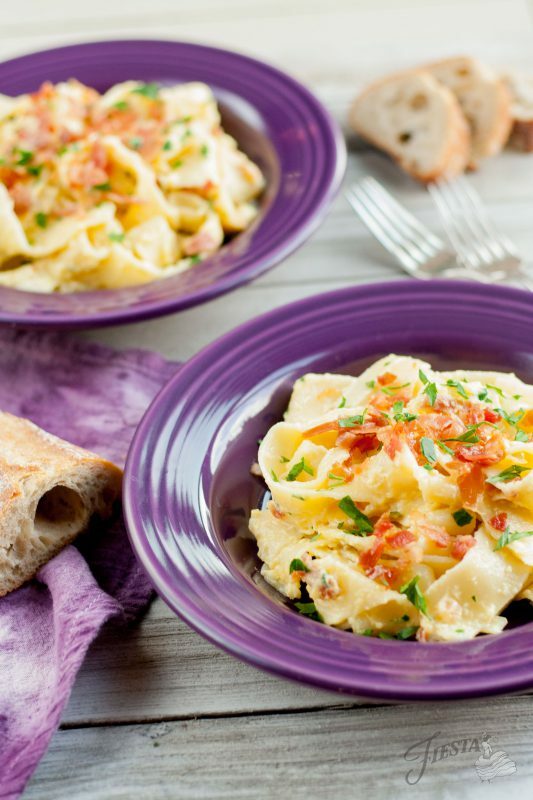 Add egg mixture and half of the cooked prosciutto to the pasta and gently toss. 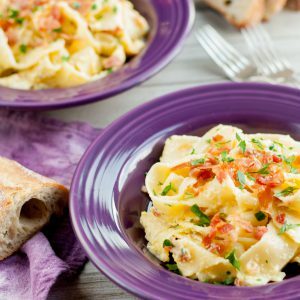 Serve pasta topped with remaining prosciutto and parsley.